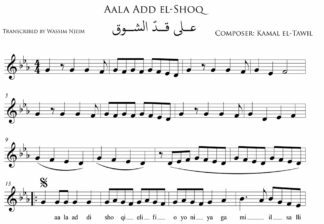 Here’s an Oud exercise on Maqam Ajam Ushayran which is more or less equivalent to B flat Major (It can also be pronounced Ajam Asheeran). It is transcribed from George Farah’s first book on Oud which used to be the academic method that was followed in the National conservatory in Lebanon back in the 80’s and early 90’s. This is an exercise that can be played on almost any musical instrument. 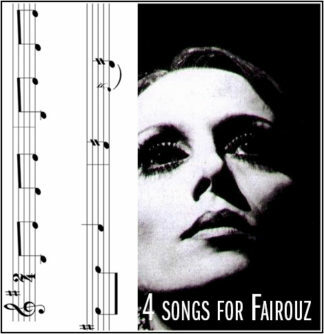 The video includes the sheet music scrolling at the bottom of the screen but you may also view the full sheet music of the exercise at the bottom of this page.